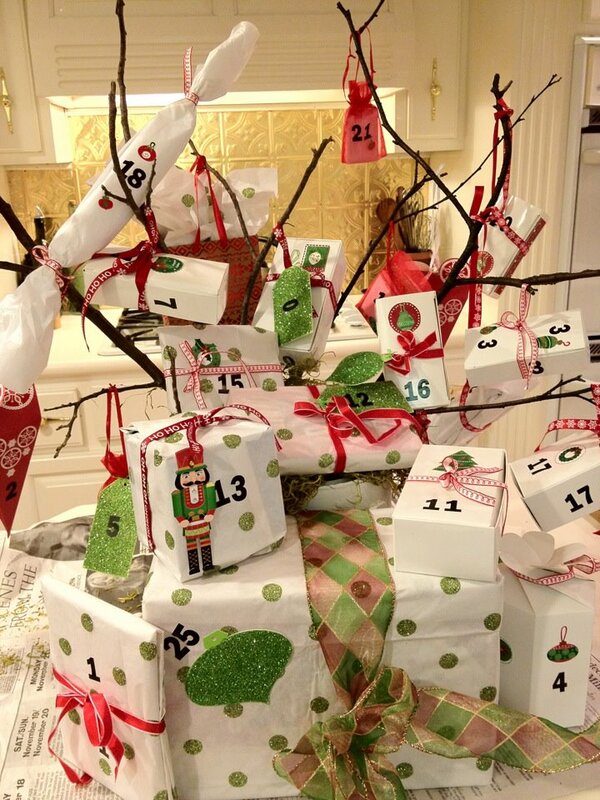 I grew up in Malaysia and was not exposed to the Advent calendar growing up. I guess because I did not grow up with it – I kept putting off getting one. My son is now 8 and I panicked thinking that I have deprived him of a key part of an American childhood. 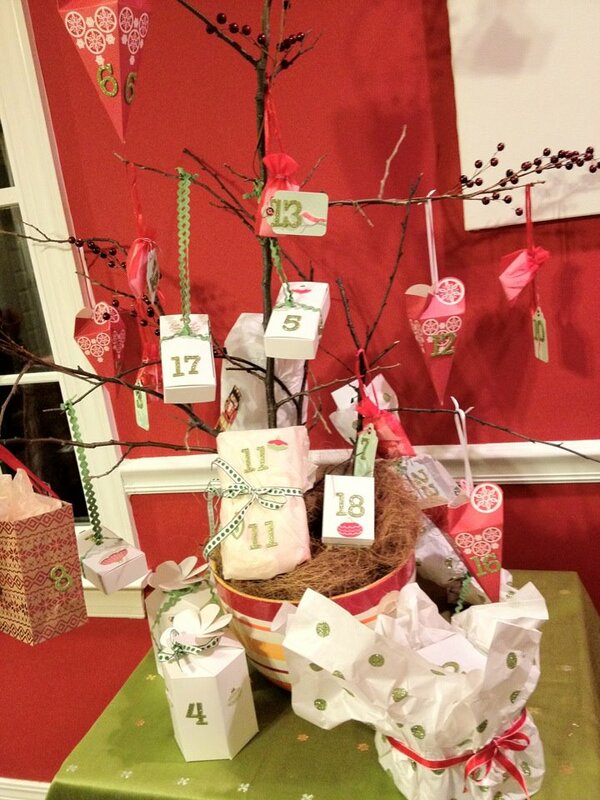 S0, I decided to make an age appropriate Advent calendar which hopefully combines the real reason for the season as well as some fun. As I started making it a couple of weeks ago I realized that many of my friends did not grow up with one either. An Advent calendar is a special calendar which is used to count or celebrate the days of Advent in anticipation of Christmas. Some calendars are strictly religious, whereas others are secular in content. Despite the name, most commercially available Advent calendars begin on December 1, regardless of when Advent begins, which can be as early as November 27 and as late as December 3. (this from wikipedia). 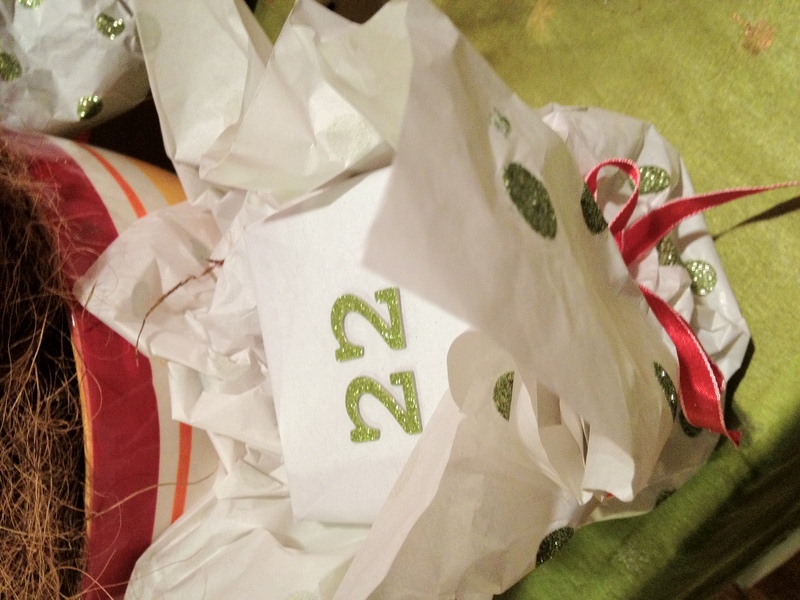 For those of you who did not grow up knowing about Advent – you will need to look it up. It is the season leading up to Christmas. 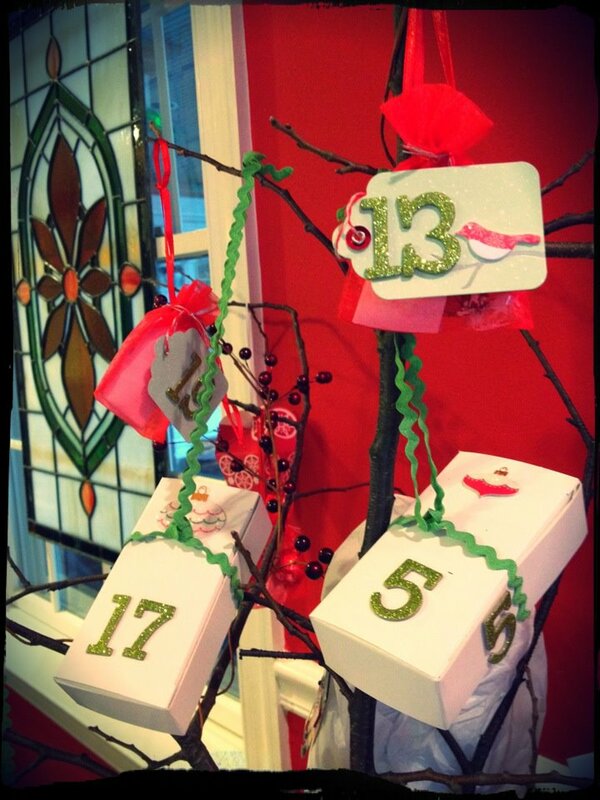 Form: You have to decide what form you want your Advent Calendar to take. I looked through many examples on the web and decided on a natural look with branches from the backyard. This just involved me walking around the yard looking for a branch that might work. I must admit I started with a branch that was way too big and thankfully my husband interfered. So, I finally found a few smaller branches, cut them down to a manageable size and height and got them anchored in a pot I had. I used a green foam floral brick to anchor my branches in the pot. I left it natural although you can surely just spray paint it if you like. Packages: I decided on white and red packages. I just went to Joanne’s and got an assortment of silk pouches, wedding cake boxes, favor boxes and treat boxes – just about all of them from the cake/wedding section. Colors: I decided on Red, White and Green. I bought ribbons in these colors. 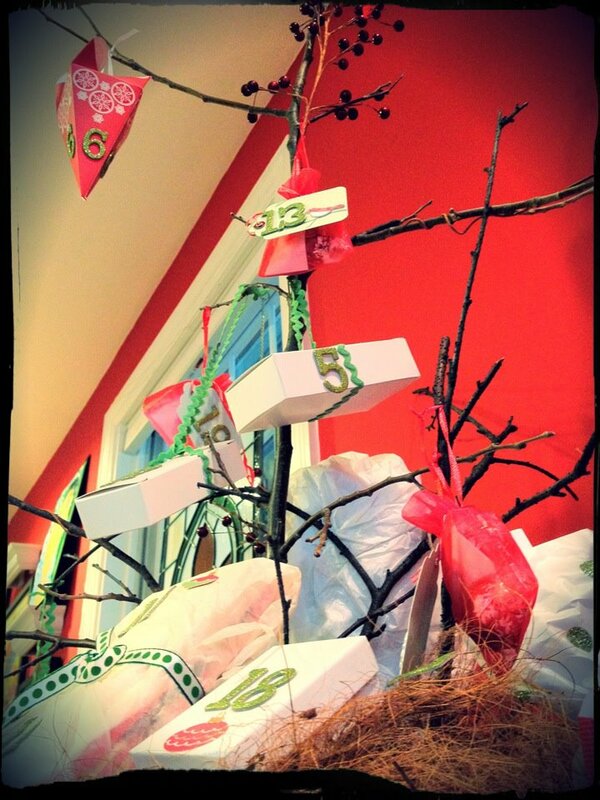 I had decided that each package would have a challenge and a gift. The trick was finding little gifts/treat that were not all candy but were small enough to fit the boxes. 5.This is a coupon for a Mr.Gattis’s day with Mum. Let’s see who gets more tickets. You can cash it in for a day that works for both of you. 7. Please gather your family and read then the Christmas story from your Bible – Luke 2. 11. Here are a few funny jokes for the Christmas season. See how many you can memorize and share the jokes with your family and friends. (I printed off some fun kid-friendly Christmas jokes). 16. 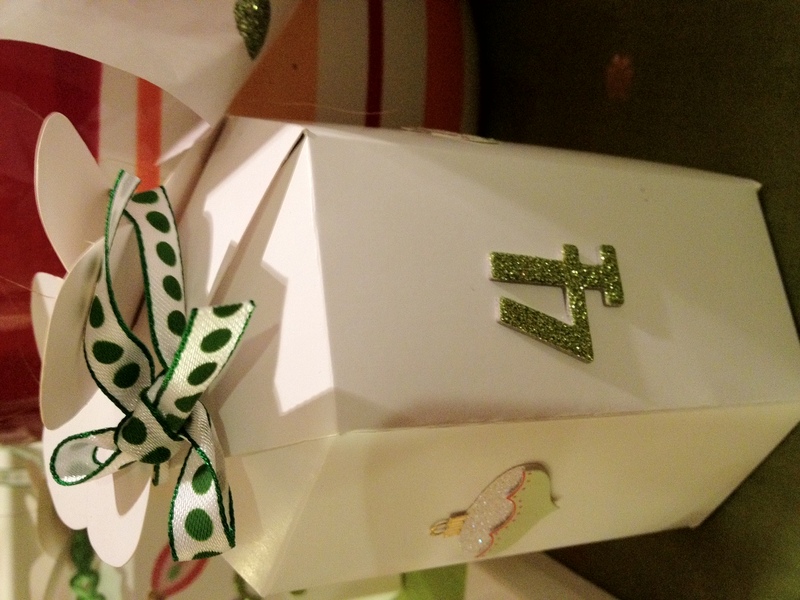 Clues to a gift hidden in the house – ask Mummy for Clue #1 (we are still working on this but the goal is to have a quick scavenger hunt at home). 21. Time to go to the store and buy matching pyjamas for all 3 of you! 23. Make a Christmas milkshake! It can be your family’s secret recipe. 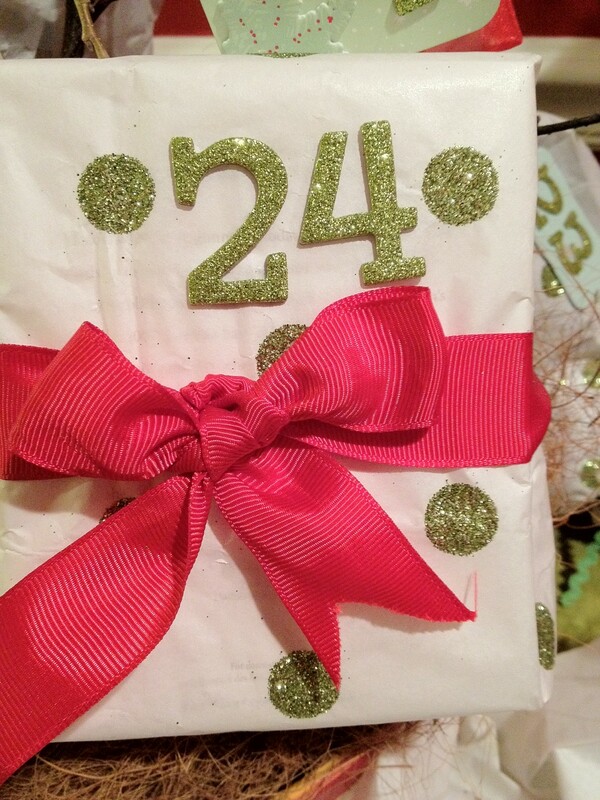 This is my 2nd Advent Calendar that I made for a friend’s daughter. This was so awesome…everything done so well…we really looked forward to it each day. Unfortunately for me, you’ve set the bar very high! I will never be able to have it look this cute.